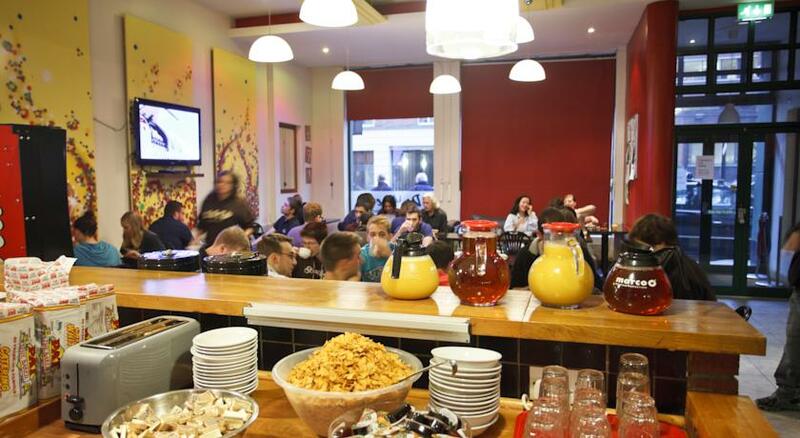 Jacobs Inn Hostel is one of the hostels in Dublin city centre which was purpose designed and provides good quality affordable accommodation in the centre of Dublin City. It is located less than 5 minutes walk from Connolly Station and Busáras, so it is ideal for visitors arriving by train or bus. It specializes in hostel accommodation for schools, students and for low budget visitors to Dublin. This is a very clean modern hostel with good facilities including lounges for relaxing, a games room, a roof terrace with good views of the city, a laundry and luggage storage. A free, light breakfast is provided and there is a spacious well equipped kitchen and dining area. All rooms are ensuite and there are private rooms and dormitories available. There is a choice of single, twin, double, triple and quadruple rooms as well as mixed and female dormitories which can accommodate up to 12 guests. This hostel is centrally located near the train, bus and tram stations an so is very easily accessible. It is less than 5 minutes walk to O’Connell Street and is very convenient for visitors to The Abbey Theatre, Trinity College or Temple Bar.